Dropping Soon from a Sky Near You? We know what the Fed will do. We just know don’t know exactly when and by what means. The Federal Reserve will inflate. It will print money. It will debauch the currency. It will do what it has always done. That is the source of its power. Short of inflating, there is no other reason for it to exist. 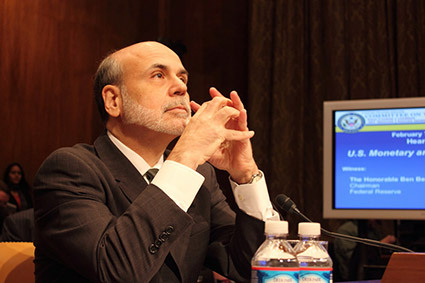 An Observer says the Fed will start dropping money from helicopters next. Over the centuries the means of inflating have changed. The kings of old used to re-mint the precious metals coins that came through their counting house, adding base metals to dilute their gold or silver content. A hundred coins came in. Presto! A hundred and ten coins went out. Of course money is supposed to be valuable. That’s why its called… money! Later inflation took the form of just printing more paper dollars, marks, francs, pesos, lira, yen and other currencies. A lot of that still goes on around the world. In more sophisticated countries like the US, inflating the currency is done by a more sophisticated process. The Federal Reserve expands the supply of money and credit with policies called liquidity operations, debt monetization, interest rate management, and Quantitative Easing. High-powered inflation depends on the so-called “fractional reserve” banking system, as the Fed empowers banks to lend out the amount of their deposits many times over. But there can be a problem with that. What if banks can’t find enough credit-worthy borrowers? If a business can’t sell what in already has, or is losing money, will it borrow more money to expand? This had economist scratching their heads. How can we inflate in a fractional reserve economy when borrowers are in trouble and don’t want to take on more debt? But then they realized that they could just take a step back to the old money-printing era and inflate the money supply without the help of banks. They could print the money and get the Treasury department to help shovel at out the doors of helicopters to the people down below. Although the term “helicopter money” had been around since the 1960’s, The Federal Reserve’s Ben Bernanke brought it back to life in a speech in 2002. That brings our story up to the present and to David Rosenberg, chief economist of Gluskin Sheff, a major Canadian wealth management firm and former chief economist of Merrill Lynch. He is generally a standout among people in such positions. That’s why we sat up and noticed the other day when an interviewer suggested to Rosenberg that helicopter money would be the next Fed initiative. “I think actually you’re 100 percent on the money with that observation,” said Rosenberg. “Quantitative easings and incursions by the Bernanke Fed were all aimed at promoting a stronger stock market.” The result, he says correctly, was record income inequality. But that also created record wealth inequality. So the next time, the policy will be different. Because wealth inequality has turned America into a powder keg ready to blow! “The Fed prints that money and then hands it over to the Treasury to do with it what you would like,” says Rosenberg. “And you don’t have to change the tax system. You don’t have to change any laws and have it held up in the House or the Senate. And there’s a whole bunch of things you could do with that money to try and stimulate aggregate demand. We think this discussion of helicopter money is one of the most important pieces we’ve published. It is a policy that will have ruinous consequences for our nation. You are free to distribute it to your associates, friends, and family and to print it if you wish. Speak with an RME Gold associate today to find out how to profit from the next round of dollar destruction. Simply call our office, (602) 955-6500, and you will be connected to one of our knowledgeable gold and silver professionals.